Good afternoon! 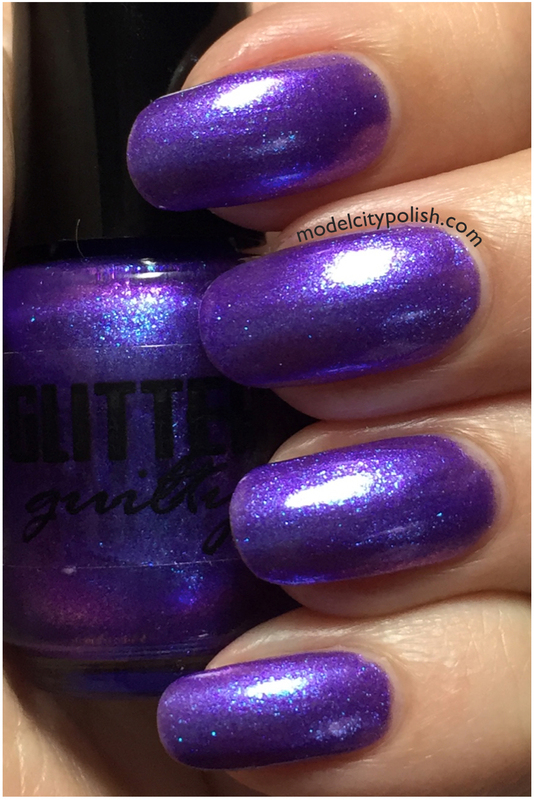 Today I have this month’s Guilty Pleasure Box from the awesome Glitter Guilty to share with you guys. 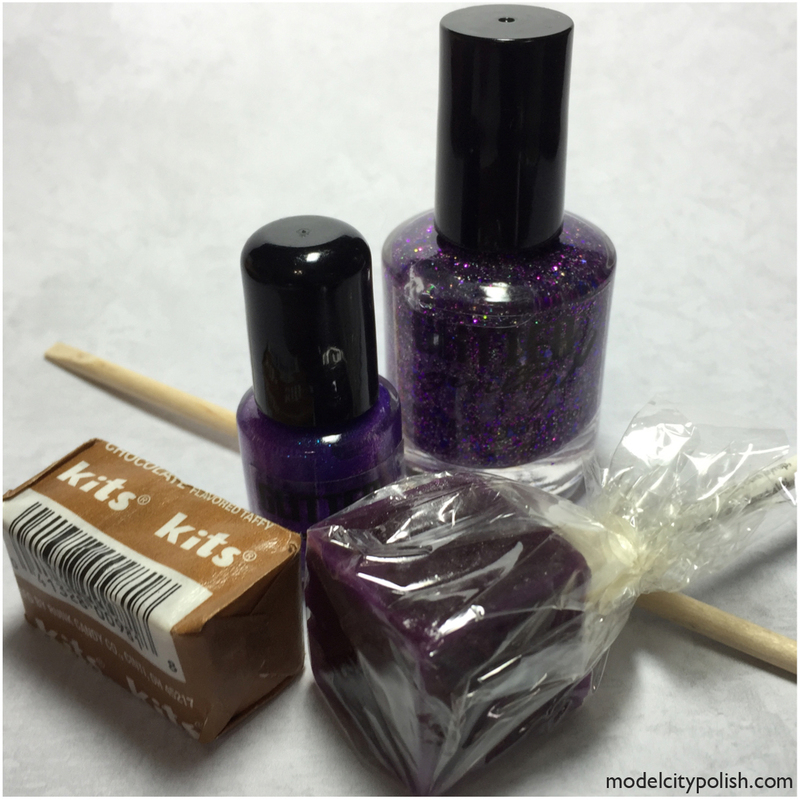 You all know that I love subscription box services and Glitter Guilty is certainly one of my favs. One big plus, no reveals before you open your box! 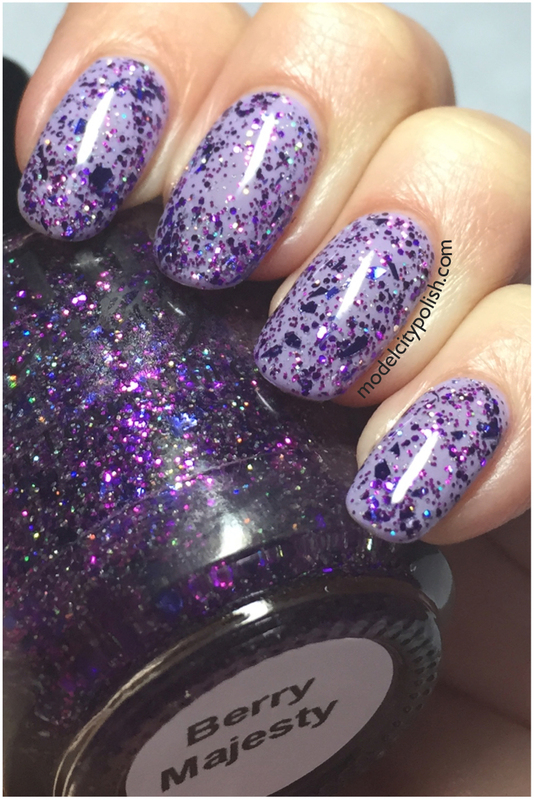 While I love being surprised, I am terrible at peeking, so I know when I get my box from Glitter Guilty that I will truly be surprised. First up let’s take a look at the monthly custom. 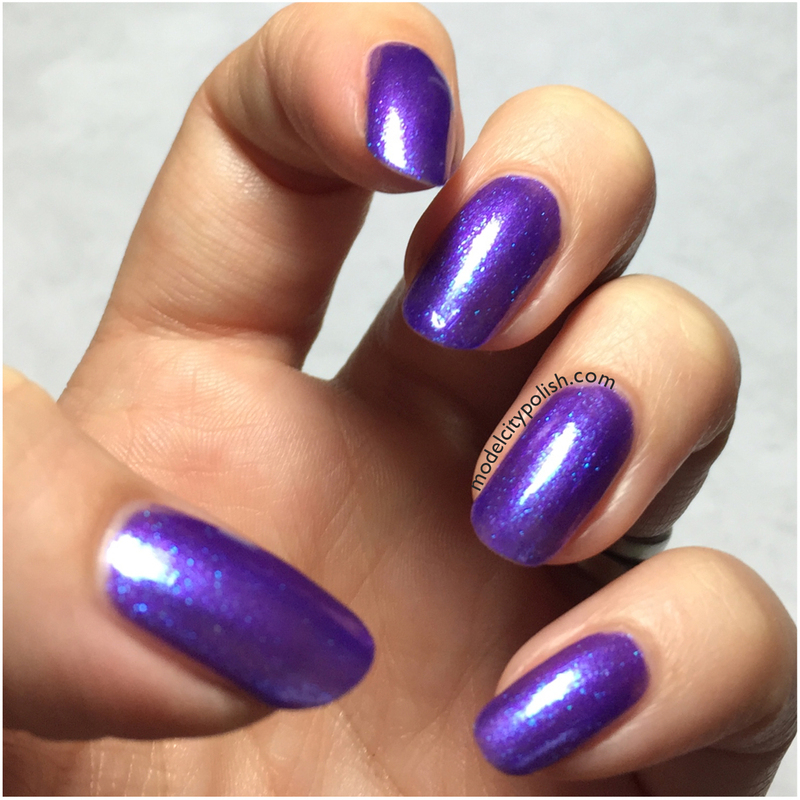 Berry Majesty is a clear base blend filled with purple and silver glitter in various sizes and finishes. 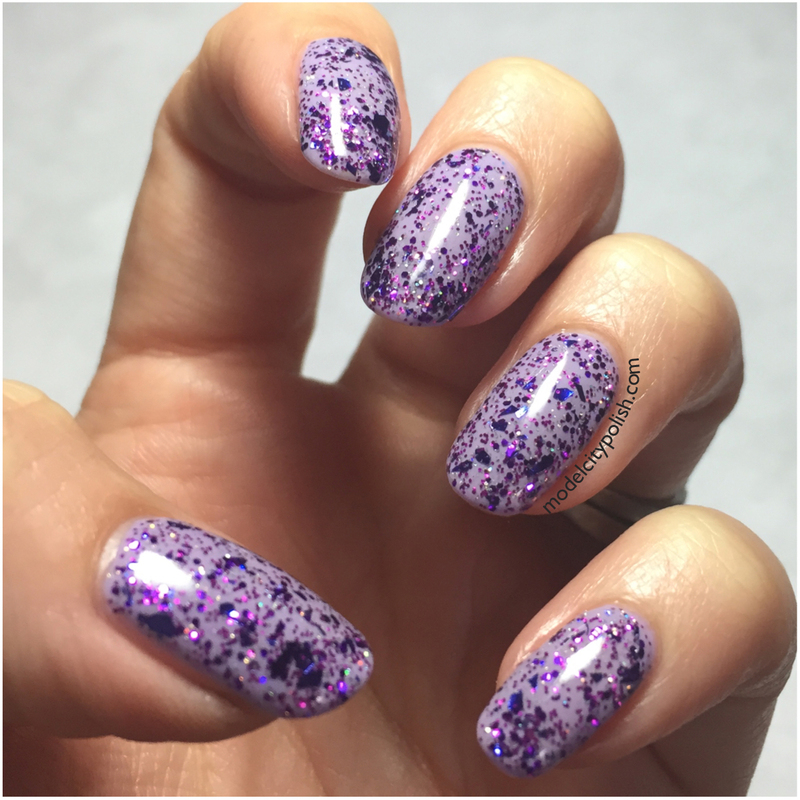 Application was super smooth and I didn’t have to fish any for glitter. 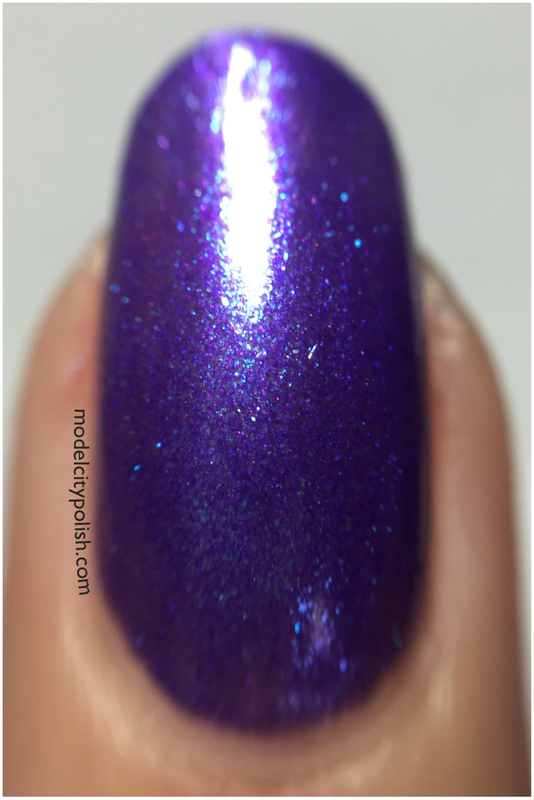 In my photos I am wearing just one coats of Berry Majesty over Morgan Taylor PS I Love You and sealed with a coat of Gelous. Now for the monthly mini. 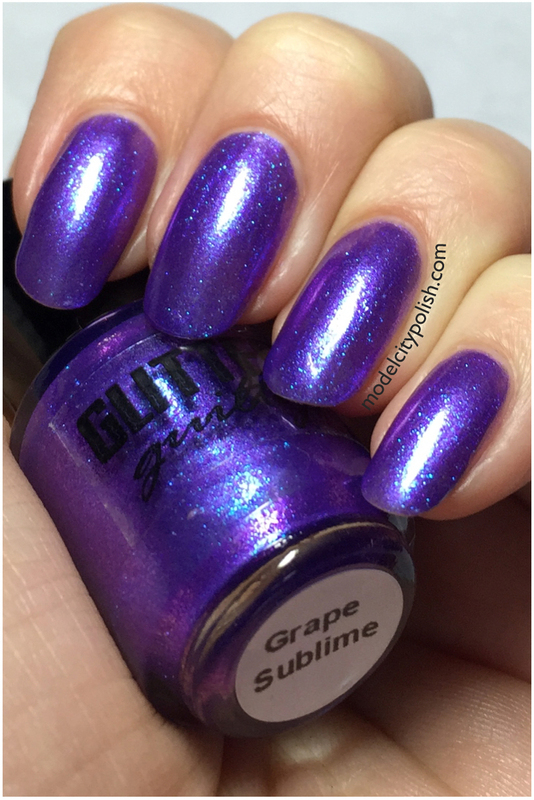 Grape Sublime is a gorgeous purple jelly filled with a blue shimmer. Application was easy even though I was working with a mini and the color is super vibrant. 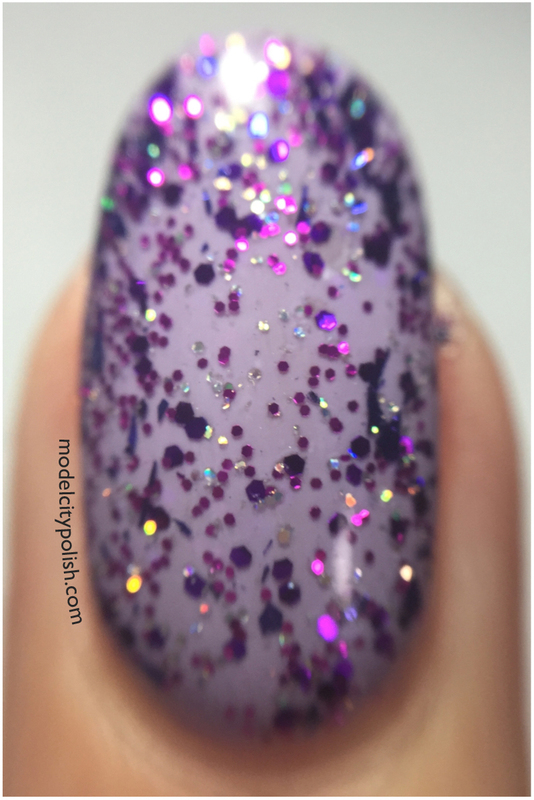 In my photos I am wearing just three coats of Grape Sublime. 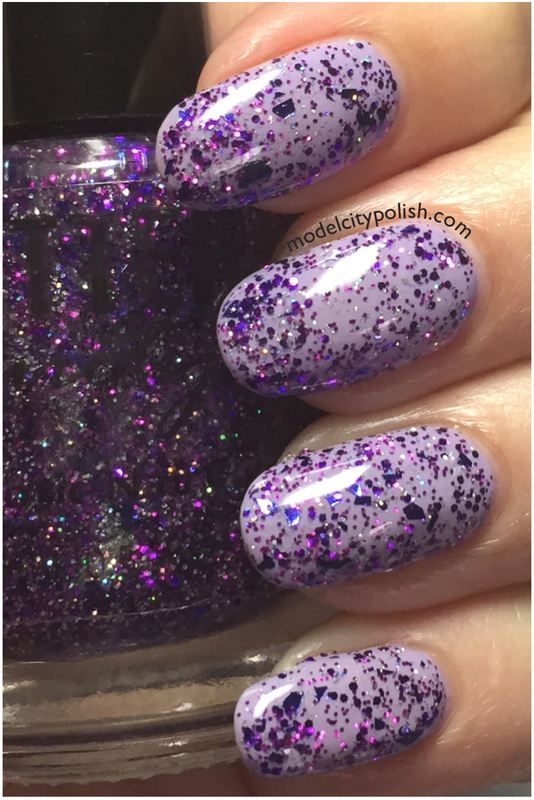 So what do you guys think of this month’s Guilty Pleasure Box? 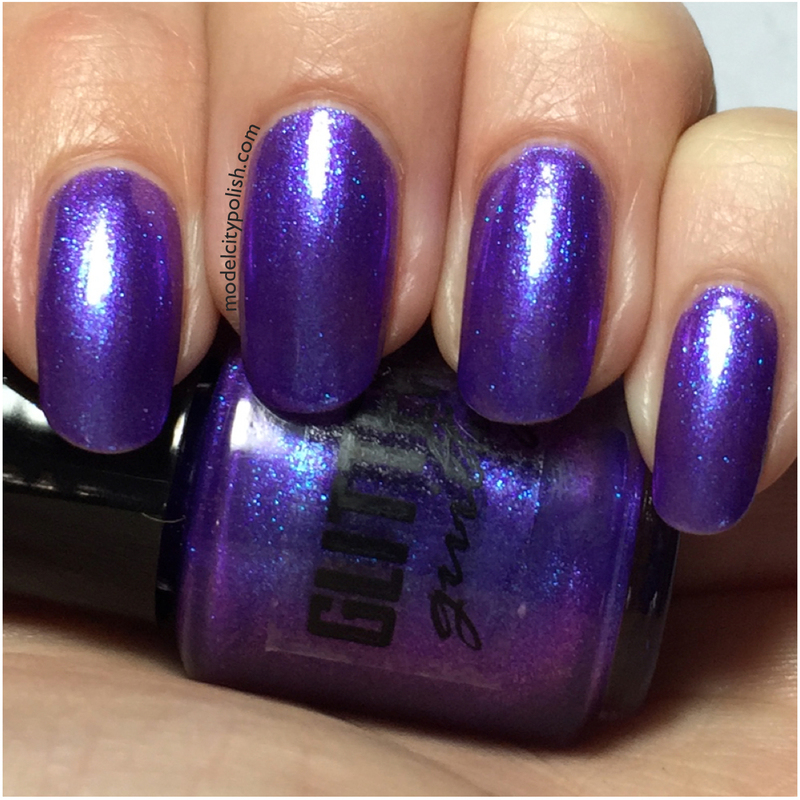 I love it and while I wouldn’t have bought these colors on my own, they are both perfect and I am thrilled to own them. 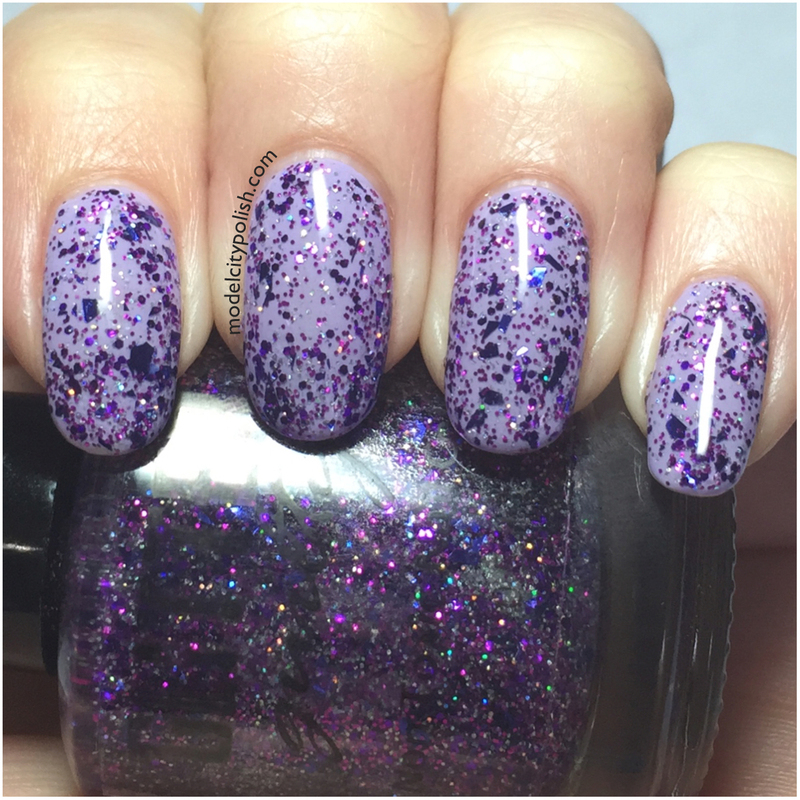 Be sure to check out the Guilty Pleasure Box and all the other great lacquer Glitter Guilty has to offer. Also give them a follow on Facebook and Twitter for up to date info. Thank you so much for stopping by today and I will see you all again tomorrow. These boxes were provided for review but that does not influence my opinions.